The Levitt family began and perfected their home construction techniques during World War II with contracts to build housing for the military on the East Coast. Following the war, they began to build subdivisions for returning veterans and their families. Their first major subdivision was in the community of Roslyn on Long Island which consisted of 2,250 homes. After Roslyn, they decided to set their sights on bigger and better things. In 1946 the Levitt company acquired 4,000 acres of potato fields in Hempstead and began to build not just the largest single development by a single builder but what would be the country's largest housing development ever. The potato fields located 25 miles east of Manhattan on Long Island was named Levittown, and the Levitts began to build a huge suburb. The new development ultimately consisted of 17,400 homes and 82,000 people. The Levitts perfected the art of mass-producing houses by dividing the construction process into 27 different steps from start to finish. The company or its subsidiaries produced lumber, mixed and poured concrete, and even sold appliances. They built as much of the house that they could off-site in carpentry and other shops. The assembly-line production techniques could produce up to 30 of the four-bedroom Cape Cod houses (all the homes in the first Levittown were the same) each day. Through government loan programs (VA and FHA), new homeowners could buy a Levittown home with little or no down payment and since the house included appliances, it provided everything a young family could need. Best of all, the mortgage was often cheaper than renting an apartment in the city (and new tax laws that made mortgage interest deductible made the opportunity too good to pass up). Levittown, Long Island became known as "Fertility Valley" and "The Rabbit Hutch" as many of the returning servicemen weren't just buying their first home, they were starting their family and having children in such significant numbers that the generation of new babies became known as the "Baby Boom." In 1951, the Levitts built their second Levittown in Bucks County, Pennsylvania (just outside of Trenton, New Jersey but also near Philadelphia, Pennsylvania) and then in 1955 the Levitts purchased land in Burlington County (also within commuting distance from Philadelphia). The Levitts bought most of Willingboro Township in Burlington County and even had the boundaries adjusted to ensure local control of the newest Levittown (the Pennsylvania Levittown overlapped several jurisdictions, making the Levitt company's development more difficult.) Levittown, New Jersey became widely known due to a famous sociological study of one man -- Dr. Herbert Gans. University of Pennsylvania sociologist Gans and his wife bought one of the first homes available in Levittown, NJ with $100 down in June 1958 and were one of the first 25 families to move in. Gans described Levittown as a "working class and lower middle class" community and lived there for two years as a "participant-observer" of the life in Levittown. His book, "The Levittowners: Life and Politics in a New Suburban Community" was published in 1967. Gans' experience in Levittown was a positive one and he supported suburban sprawl since a house in a homogenous community (of almost all whites) is what many people of the era desired and even demanded. 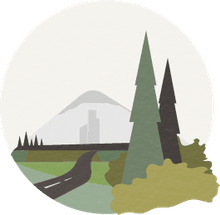 He criticized government planning efforts to mix uses or to force dense housing, explaining that builders and homeowners didn't want lower property values due to increased density adjacent commercial development. Gans felt that the market, and not professional planners, should dictate development. It is enlightening to see that in the late 1950s, government agencies such as Willingboro Township were trying to fight developers and citizens alike to build traditional livable communities. 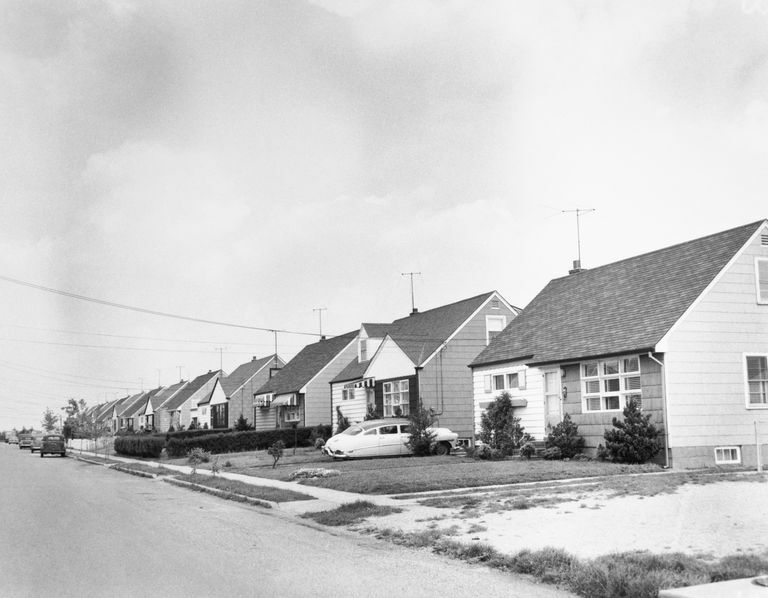 Levittown, NJ consisted of a total of 12,000 homes, divided into ten neighborhoods. Each neighborhood had an elementary school, a pool, and a playground. The New Jersey version offered three different house types, including both a three and four bedroom model. House prices ranged from $11,500 to $14,500 -- virtually ensuring that most of the residents were of somewhat equal socioeconomic status (Gans found that family composition, and not price, affected the choice of the three or four bedrooms). Within Levittown's curvilinear streets was a single city-wide high school, a library, city hall, and grocery shopping center. At the time of Levittown's development, people still had to travel to the central city (in this case Philadelphia) for department store and major shopping, the people moved to the suburbs but the stores hadn't yet. What is the origin of a new community? What is the quality of suburban life? What is the effect of suburbia on behavior? What is the quality of politics and decision-making? Gans thoroughly devotes himself to answering these questions, with seven chapters devoted to the first, four to the second and third, and four to the fourth. The reader gains a very clear understanding of life in Levittown through the professional observation made by Gans as well as the surveys that he commissioned during and after his time there (the surveys were sent from the University of Pennsylvania and not by Gans but he was upfront and honest with his neighbors about his purpose in Levittown as a researcher). "If people want to live that way, fine, though it is not new urbanism as much as 19th century small town nostalgia. More important Seaside and Celebration [Florida] are not tests of whether it works; both are for affluent people only, and Seaside is a timesharing resort. Ask again in 25 years." Gans, Herbert, "The Levittowners: Life and Politics in a New Suburban Community". 1967. Jackson, Kenneth T., "Crabgrass Frontier: The Suburbanization of the United States". 1985.